Asus' Republic of Gamers brand welcomes another worthy entry as the GL502 offers a premium, both inside and out. 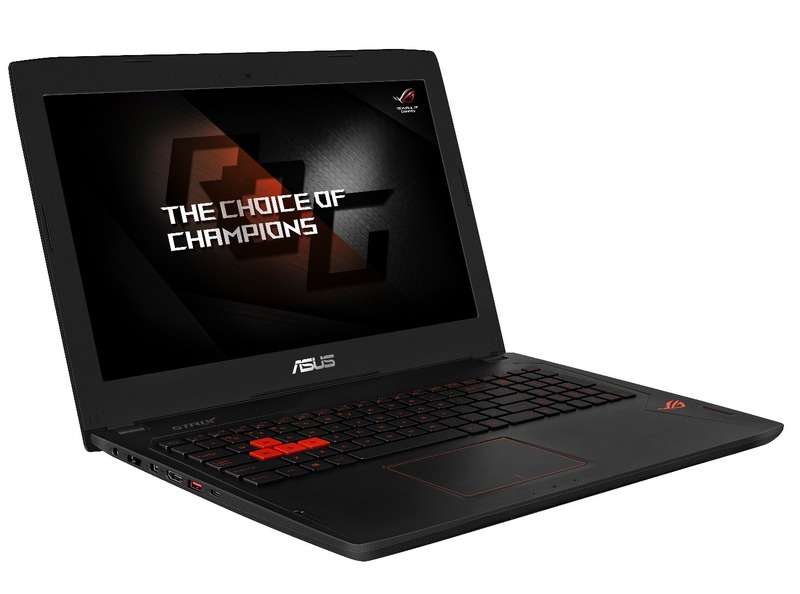 Asus is no stranger to manufacturing laptops specifically geared towards gamers as its Republic of Gamers (ROG) brand has been well known to those who are looking for a gaming machine from a trusted brand. 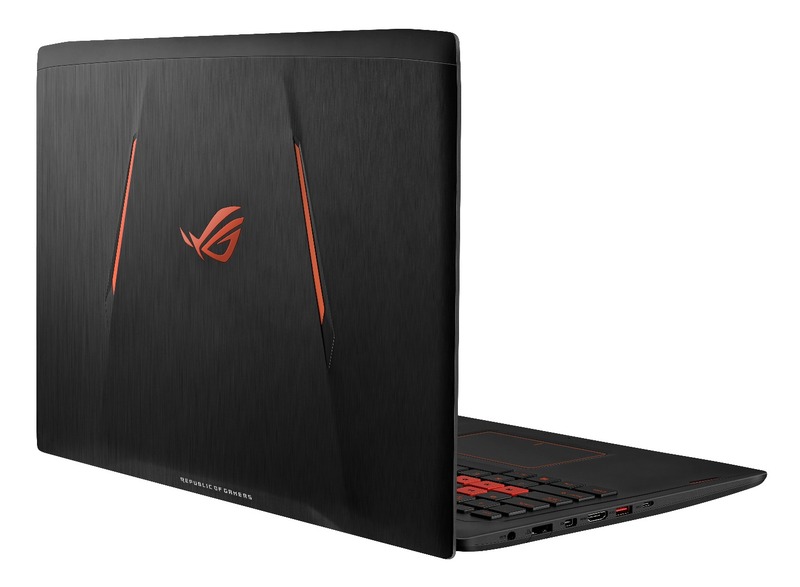 Asus continues to push the envelop of what can be possible within its notebook gaming machines with its ROG Strix GL502 laptop, which combines some of the best internals possible in a notebook, while also not breaking your back with its weight. For this review, I was given the opportunity to review the GL502VY-DS71 model, which features a 15.6-inch Full HD display with G-Sync support, a 6th Gen Intel Core i7 processor, an Nvidia GTX 980M GPU, 16GB of DDR4 RAM, and a 128GB SSD + 1TB HDD. But that’s just the tip of the iceberg as this gaming laptop packs a mean punch within a relatively slim frame. One of the first things I noticed when I took the GL502 out of its packaging was its color scheme, which is much more eye catching than previous ROG models. Asus often went with a red & black color scheme for its ROG laptops, but with its more recent models, like the GL502, the company has gone for an orange & black color scheme. All of the keys, the outline of the trackpad, logos, and speakers all have orange highlights to them, which make it much easier to use at night in addition to the use of backlighting. The GL502 offers a nice, premium feel to it all around as it’s completely covered in brushed aluminum. When I’m writing, there’s ample room on the palm rest area as not only can my wrists sit comfortably on it, but a part of my forearm can also fit onto it. The keys offer a nice mix of click and slight sponginess to them and feel very comfortable to type on. They’re really responsive, allowing my fingers to jump from key to key with very little effort. The trackpad is also comfortable to use as I prefer a smooth surface over one with texture to it. It’s nice and smooth and supports both tapping and clicking, allowing most customers to use it however they prefer. Instead of being located at the bottom of its body, the speakers are located at the sides of the palm rests. Both are located far from my hands, which means I’m able to hear all of the action without accidentally muffling the speakers with my legs or my hands. The ports of the laptop are also conveniently located as the right side houses an SD card reader and two USB 3.0 ports while the left side is where its charging port, Ethernet port, mini Display port, HDMI, USB 3.0, and USB-C Gen 2 ports are located. While I don’t yet own any USB-C devices, I’m happy to see Asus has included it on this laptop as it’ll start becoming the new standard relatively soon. The Asus GL502VY-DS71 model I was loaned for my review didn’t skimp on the specs as it featured a 6th Gen Intel Core i7 2.6GHz processor, a GTX980M with 4GB GDDR5 VRAM, and 16GB DDR4 2133MHz SDRAM, among other things. During my benchmark tests, the laptop received a score of 3867 in PCMark 8 Home, and a 3DMark 8 score of P10549. As far as real-world applications, I was able to run a number of recent games like Overwatch, Doom, Street Fighter V, and Call of Duty: Black Ops 3 mainly running on High/Ultra settings without any noticeable lag or hiccups. My games looked even better when paired together with the laptop’s 1080p display. With its 15.6-inch LED backlit display, I noticed rich color, deep contrast, and sharp details while gaming. With all of its impressive internals, the fans don’t go as crazy as I’d expect them to as I was able to play games without having to resort to headphones due to a laptop’s fans drowning out the audio. One thing I don’t recommend though is playing on the GL502 while it’s on your lap. The bottom gets really hot after playing a game for about 15 - 30 minutes, depending on the game. When performing everyday tasks, like emailing and browsing the Internet, the temperature of the entire body is comfortable. The GL502’s battery faired pretty well during general use, such as browsing the Internet, doing emails, and the ilk. In my tests, I was about to get a little over 5 hours of battery life out of the laptop. This is pretty impressive considering all of the power that’s sitting under the hood. As far as gaming on battery, we were able to get around two hours of battery life, which is also impressive. The Asus GL502 is an ideal gaming laptop for those looking for a notebook that combines exceptional performance while still being portable. It isn’t among the lightest notebooks I’ve tested at 4.8lbs as the Razer Blade (2016) weighs in at 4.2lbs, but I’ve also reviewed some heavy duty laptops in the past, like the Razer Blade Pro which weighed in at 6.58lbs. Regardless of its slight differences in weight, the GL502 offers a premium experience, both inside and out. How does it sound? My oldish rog laptop produces crap sound. Even though it's supposed to house a "sub" the old macs easily beats it. "As far as real-world applications, I was able to run a number of recent games like Overwatch, Doom, Street Fighter V, and Call of Duty: Black Ops 3 mainly running on High/Ultra settings without any noticeable lag or hiccups. My games looked even better when paired together with the laptop’s 1080p display." You were able to run them without issue, and then they looked better when you ran them on the laptop's display? Unless I'm reading this wrong, it sounds like you used an external display?